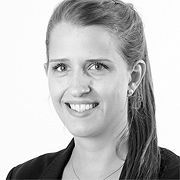 Marion is Junior Key Account Manager at Reckitt Benckiser in Switzerland, responsible for retail clients in the country. She is an experienced manager focused on marketing, having worked in companies like Nestlé and Heineken. Marion also worked as Marketing Manager at adpad AG, building the start-up and focusing on connecting stationary trade with the possibilities of the online world in a smart way to achieve an increase in service and turnover. At her previous position at Aldi Suisse as Area Manager, Marion acquired leadership experience through managing the sales staff, its recruitment and training. With a skill set that includes Digital Marketing, Data Analysis and E-Commerce, she obtained a BSc and MSc in Management, Business Administration and General Management from the University of Lausanne in Switzerland.